Before I get to the July 2015 ScentBird review, ScentBird made a major announcement on July 16 regarding a new referral program launch. More details to follow. July 2015 makes for our third review of the fragrance subscription service -- ScentBird. And being somewhat busy this month, we’d completely forgotten that our ScentBird subscription was due to arrive. We’re making a point of stating this because unlike certain other subscriptions services, ScentBird arrived on time … like clockwork! So, at this point you may be asking, “Uh … what’s ScentBird?” ScentBird ($14.95/month) is a monthly fragrance subscription service, with subscribers receiving a .33 oz sized vial of perfume. Subscribers can choose their fragrance from ScentBird’s 350 plus perfume offerings or opt to receive ScentBird’s monthly-featured scent. First month’s subscription is sent with a velveteen drawstring bag and sturdy, chic atomizer, as well as instructions for how to use the atomizer. Subscriptions are sent out on the 15th of each month. Consecutive months, subscribers receive a vial of their perfume, which we find to be brilliant as it less waste and better for the environment. For May and June, I opted to go with ScentBird’s featured scent. For July 2015, we opted to choose our own and check out the self-selection feature that ScentBird offers. We picked Granada by Oscar de la Renta (for our editor’s mother) and we’re thrilled that the scent we choose was the scent that we received! The ScentBird July 2015 fragrance choice was quite the deal. We received a .33 fl oz bottle of Granada by Oscar de la Renta ($150 – 3.4 fl oz) and unlike last month’s scent -- Daisy Dream by Marc Jacobs; you can’t get samples of this fragrance. Although more and more houses are offering samples for purchase, it has not yet become an industry standard and, no, the tiny bottles that you may be able to acquire at the beauty counter do not (and never will) suffice as a honest sampling of any fragrance. “Why not,” you ask. Okay, here’s the deal with fragrances. A scent will alter from person to person due to each human beings individual body chemistry, as well as smelling different on you from day to day because of your own body chemistry. When you’re choosing a new fragrance for yourself you need to have a strong opportunity to give that fragrance a good test run. So, for $14.95 at ScentBird you get a fabulous size sample of a delicious fragrance! As Team TME was discussing ScentBird and the perfect gifting option available, we thought this would be an amazing gift subscription to give to the girl who is off to college next month! You can subscribe to ScentBird by visiting its website and check back to see what arrives for August! Oh, were you wondering about ScentBird’s July 16 announcement? 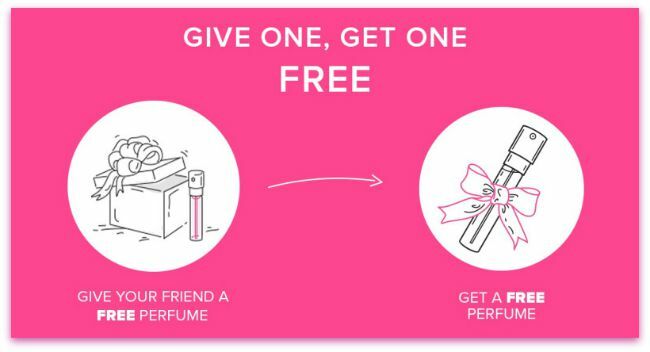 ScentBird has a wonderful new referral program that screams -- you guessed it, free perfume! All you have to do is invite your friends and have them subscribe to Scentbird, and voila, you and your friends will receive a free month of perfume! 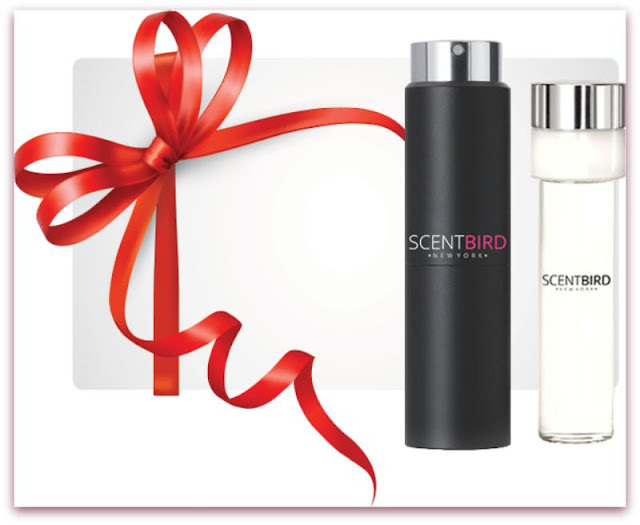 For more information about the ScentBird referral program, visit ScentBird's blog.